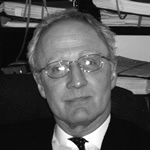 Timothy Noel Clark is a senior member of the Family Team. Tim completed his pupillage at 2 New Street and has remained a member of Chambers throughout his career. Tim has a general common law background but for more than 20 years has practised exclusively in all areas of family law. He has considerable experience when dealing with matters of divorce. He regularly represents parties in ancillary relief proceedings and this has involved him in representing parties in cases ranging from assets of modest to multi-million pound values. Tim appears regularly in Children Act cases, both public and private law,representing parents, guardians and local authorities. He also has experience of representing parties in cohabitee disputes. He sits as a Recorder (Public and Private Family Law, Criminal and Civil).